If all that glitters was gold, how I wish those beautiful slides ZCDC screened at the multi-stakeholder diamond conference on the first of June 2018 at Holiday lnn Mutare actually resemble the community ,surely l would call ourselves fools to continuesly disgruntle and cry for development. Much hype has been placed on ZCDC work in Chiadzwa. Though with all the publicity sharing the work being done in Chiadzwa, the opposite of the publicity stunt is true. The claim by ZCDC to have invested $200,000 in rebuilding the science block, lab ,solar and WiFi at Gandauta secondary its an over exaggeration of figures. The truth of the matter is the block has been erected 15years ago and it needed touch-ups and roofing .The balloming of the monetary injection is far below the said amount. 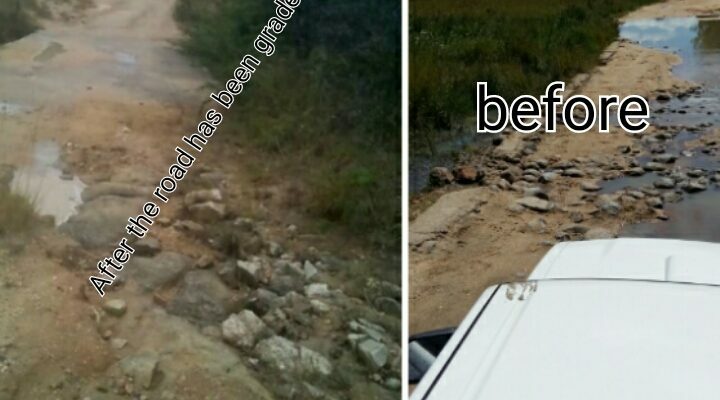 Its so sad that the slides shown portraying well graded roads around Chiadzwa is a clear misinterpretation of facts. Mt Matedzi and other areas are still inaccessible. The roads were only scrapped as a publicly stunt after the Chiadzwa demo.This is not the proper social cooperate responsibility we expect from a big company such as ZCDC. It was highlighted that women from the community have greatly benefited from a sawing club established by the company but how can one benefit from a theory lesson offered last October. The machines are said to be on the way but which way? and the dates of their arrival are just a dream in the pipeline with not any sign of hope. They are expected to graduate on the day of the presidential visit, but how do they graduate from a course that never took place. Politics does not put bread on our tables. Is this corporal social responsibility done for the benefit of the locals or for a political mileage and the public arena to see?.As Mr Malven Mudiwa said point blank to ZCDC that the locals are the ones who should say good things about ZCDC projects not vice-versa. The land reclaimation program highlighted in the slide was only a face saver to the mass land degradation in Chiadzwa environment. 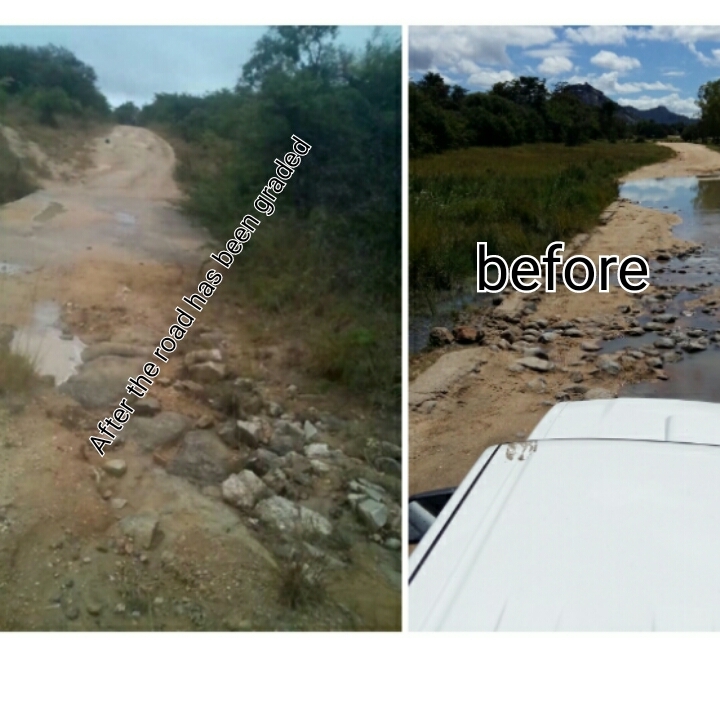 Inasmuch as we appreciate the work done around Gandauta school, it is not however a true reflection of the job done, vast pieces of land are still far from being rehabilitated and life threatening gullies are still in existence, areas like Tonhorai, Betera, Mashukashuka etc. The promise of proper reburial of vandalized gravesite is another thorn in the flesh for locals .We called for assistance for dignified and descend repatriation of the vandalized graves but nothing has been done save for void promises from ZCDC. The Protected Places and Areas Act has became a burden to the residents. Vehicle registration for the residents has become a financial burden as one need to travel a distance of more than120km to renew permits monthly. Locals are calling for the authorities and the government to provide a centre for this cause even at diamond base to ease the travelling expenses . The restrictive laws are too tight for us making us slaves in our own land. The story of one Mr Kusena being tortoured and putting up in the cells for the night at diamond base last month after forgetting his vehicle permit at home is a clear sign and picture that we are still in the slave era in a country we call democratic. Illegal syndicates between ZCDC security personnel and illegal miners is fleecing the state and the company of thousands of dollars which could have been used to develop the communities . This opening a big pipeline for illicit financial flows. This corrupt systems if left unchecked will be a contrast to the company ‘s promise of a well managed and organised diamond security according to the KPC standards. Bribery of local leaders in the name of empowering traditional leaders is not enough to silence the cries of the wailing populace of Chiadzwa. The leaders don’t stay in isolation ,they have the subjects they lead who also need to benefit from the same ZCDC pumping tokens to these local leaders. The company is like a married man promising his girlfriend heaven on earth when his wife back home is not at peace. The community being the girlfriend is pumpered with lot of void promises on the other hand the wife (the workers) are denied their constitutional rights.Without the freedom of who should represent them and how as stated by section 65 of our constitution. Women ‘s quarter system exist only on paper but the population of the women employed there is not a true reflection of section 17 of the constitution, which is the ideal. The safety and healthy of workers is being compromised by a lot of factors. As the voice of the community I say a lot needs to be put in place.